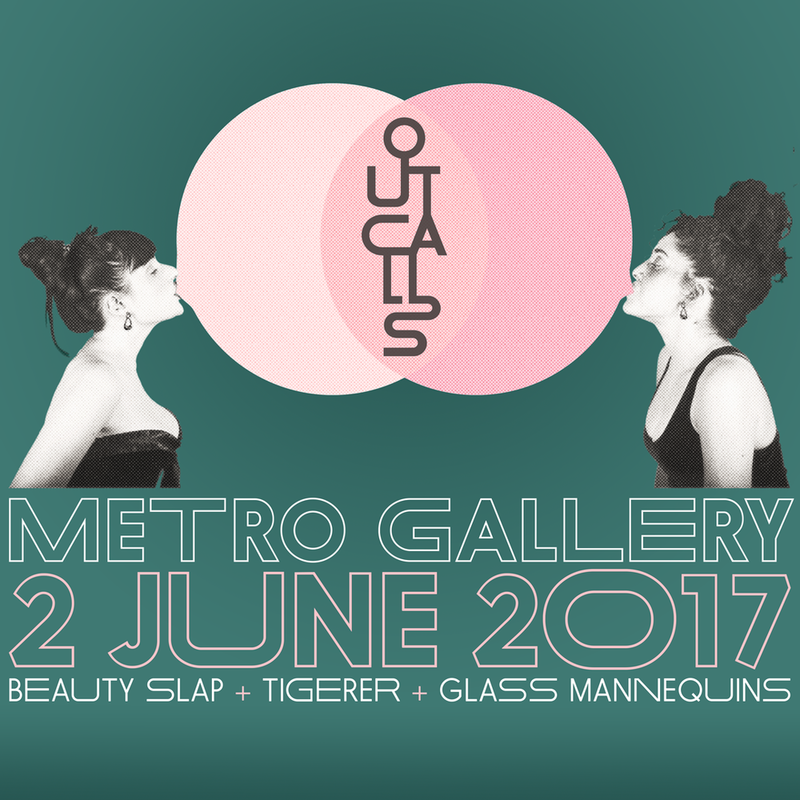 Outcalls are a female-fronted “baroque indie-pop” band from Baltimore, led by classically trained singers Melissa Wimbish and Britt Olsen-Ecker. Their voices can tickle your ear hairs one second and shake your teeth the next, and their band arrangements layer acoustic and electronic elements in ways that are both thought-provoking and dance-inducing. I've designed a handful of things for Outcalls. Most recently, I put together the cover for their 2018 single Keep Falling Over and its associated promotional graphics. Previously, I designed a poster and web graphics for the band’s 2017 summer tour, promoting the release of their LP No King. The visual concept of Britt and Melissa blowing bubblegum bubbles at one another was conceived by the band. I pushed the bubble shapes together like a Venn diagram, and designed a vertical “OUTCALLS” wordmark to fit in the overlap space. The bubbles become speech balloons suggesting Britt and Melissa’s two voices working together to form the band’s signature sound.